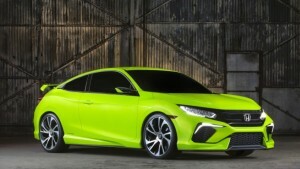 Nov 10, 2015 – TORRANCE, Calif.
Honda will reveal details on two exciting new expressions of its Clean, Safe, Fun brand values at the 2015 Los Angeles Auto Show with the world debut of the all-new 2016 Civic Coupe, the second in a line of new 10th-generation Civic models that will be launching over the next 18 months, and the North American debut of the all-new Honda Clarity Fuel Cell sedan, providing an early look at Honda’s next-generation approach to low-carbon mobility, scheduled to launch in the U.S. next year. 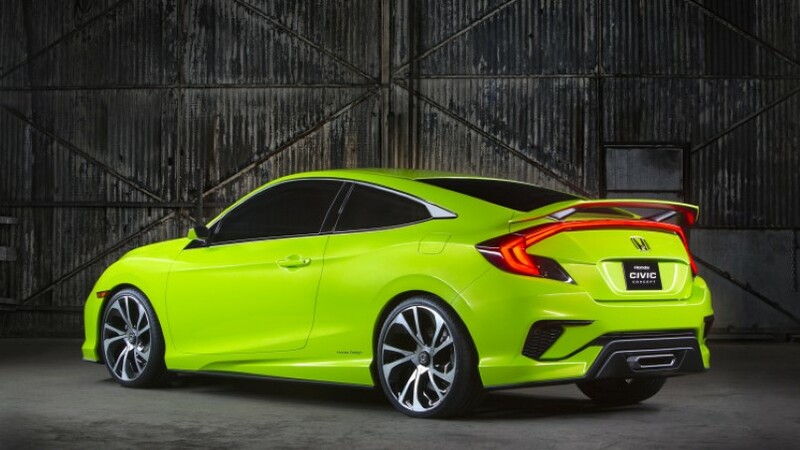 Built on the same athletic Civic platform that underpins the highly anticipated 2016 Civic Sedan that goes on-sale at Honda dealerships nationwide on November 12, the 2016 Civic Coupe will showcase even sportier lines, with an intimate, high-tech interior and engaging powertrain options to continue Honda’s focus on launching the sportiest and most expansive Civic lineup in brand history. Like its Sedan counterpart, the new Civic Coupe targets word-class levels of sporty performance, ride refinement and cabin quietness along with class-leading fuel efficiency and safety performance, powered in part by two all-new powertrains, including a first-ever turbocharged powerplant for the U.S. Civic. The world debut of the 2016 Honda Civic Coupe is the second in a series of new 10th-generation Civic models that will include a sedan, coupe, high-performance Si models, a 5-door hatchback and the first-ever Civic Type-R model for the U.S. market, comprising the most diverse and innovative lineup in Civic’s 43-year history. Building on Honda’s longstanding commitment to advanced alternative-fuel vehicle technologies, the Clarity Fuel Cell five-passenger sedan will offer increased performance, range and efficiency as well as improved packaging. The Clarity is the world’s first production fuel cell sedan to house the entire fuel cell stack and drivetrain system in the front engine compartment. Using Honda original technologies, the new Clarity Fuel Cell will offer customers a new low-carbon mobility experience with a driving range of more than 300 miles and refueling time of approximately three minutes. The Clarity Fuel Cell comes to U.S. shores following its world debut at the 2015 Tokyo Motor Show in October. Honda’s next-generation fuel cell car will launch in the U.S. in 2016, after its market introduction in Japan in March of next year. The Honda booth is located in West Hall at the Los Angeles Convention Center, and will be open to media beginning on November 18, 2015.